This report is based on an article by Danya Chaikel, a Maastricht resident, in the on-line Crossroads magazine. Dutch Foreign Minister Ben Bot has received assurances from his Iranian counterpart, Manouchehr Mottaki, currently on a visit in the Netherlands, that Ahwazi dissident and Dutch citizen Faleh Abdullah Al-Mansouri (pictured with the mayor of Maastricht) is still alive in Iran and that he will get an open trial. Al-Mansouri, a UNHCR registered refugee and leader of the Ahwaz Liberation Organisation (ALO), was abducted by Syrian authorities while on a visit to Damascus in May and illegally deported to Iran, in contravention of the Geneva Conventions on Refugees. He is currently being held in Section 209 of Evin Prison, which is run by the Ministry of the Intelligence and where opposition activists are tortured by interrogators. An open trial will mean that representatives of the Dutch embassy or consulate will be allowed in court. Mottari added that Al-Mansouri's family would be allowed to visit him in Iran. He did not however give any information about the visa application submitted by Al-Mansouri's Dutch lawyer Gerard Spong. Iran does not recognise Al-Mansouri's Dutch nationality. According to Dagblad De Limburger, Amnesty International Maastricht spokesperson Sigrid Haenen comments that the human rights group is caustiously optimistic about this latest development, but that it will advise Al-Mansouri's family not to accept Iran's offer (click here for report). Al-Mansouri's son believes that his father's lawyer Gerard Spong would be more helpful to him at this point in Iran than his direct family (click here for more information). Dagblad De Limburger further reports that Amnesty International Maastricht hopes that the city will send an official representative - "preferably Gerd Leers himself" - to Iran in order to ensure that Al-Mansouri, who is charged by Iranian authorities for "terrorist activities", receives a fair trial. Al-Mansouri was a former high-ranking officer in the Iranian military who rebelled against the Islamic Republic during the Iran-Iraq War. 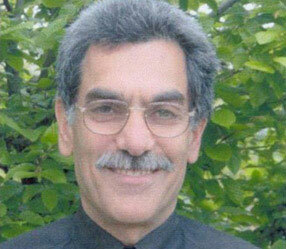 He was sentenced to death by an Iranian military court in 1988, but escaped from custody and fled to Baghdad. He, his wife and four children were relocated to the Netherlands by the UNHCR in 1989 and later acquired Dutch citizenship. It is unclear whether the Dutch government has accepted the methods by which Al-Mansouri was abducted and transferred to Iran or whether it is making representations to move the dissident from Section 209. The Iranian government has not given any assurance of open trials for four other Ahwazi refugees abducted from Damascus and it is unclear whether the Dutch government is pursuing these cases. The UNHCR has issued complaints on behalf of all five men. The Iranian regime has tried other Ahwazi dissidents in one-day trials revolutionary courts, which have been held in closed sessions with defendents denied access to lawyers. Fifteen Ahwazi Arabs are currently facing execution. The trials and death penalties have been condemned by the European parliament, the UN General Assembly and an Early Day Motion signed by 47 British members of parliament.